Kohima, the capital of Nagaland is known for the Hornbill festival that happens a few kilometers away from the city very year. The city also has a few other attractions such as war cemetery, naga museum etc. There are numerous home stays, camps and hotels available in Kohima. 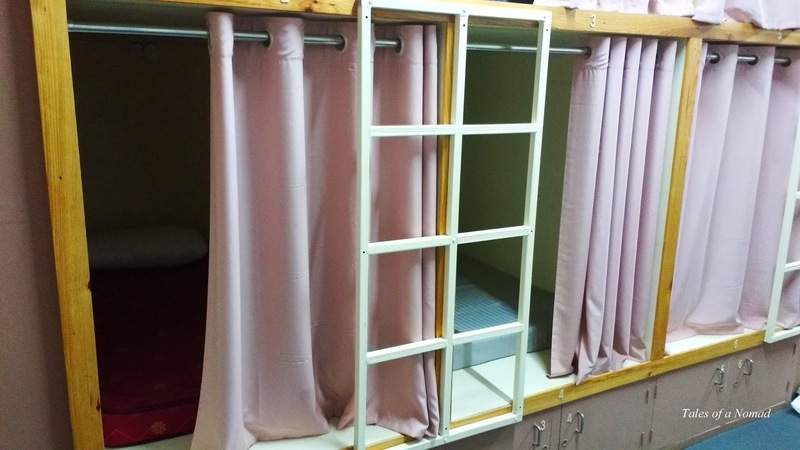 However, the city has only one or two hostels that caters to the backpacker community who are on budget travel. 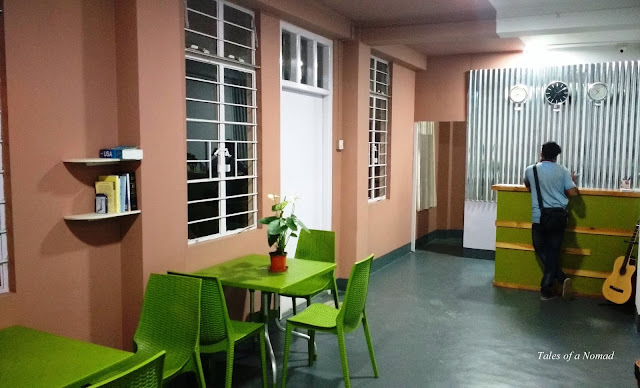 EcoStay Hostel is a fairly new hostel located next to the war cemetery. It is beautifully designed with capsule beds, complimentary breakfast, free wifi and all basic facilities. This mixed hostel has ten capsule beds next to each other and they look lovely lined up together. The common baths are adjacent and there are separate toilets and bath areas. The common area has a couple of tables for the inmates to have breakfast or to work on their laptop. 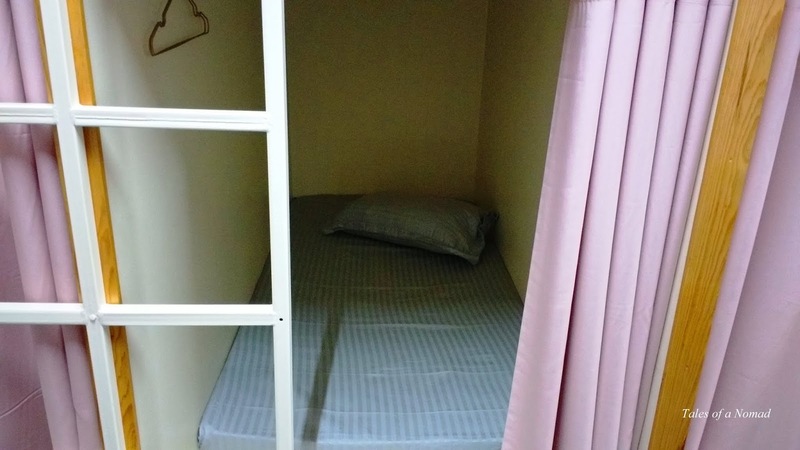 This lovely hostel is centrally located and the charges are INR 450 per bed. Design: Capsule beds are still not popular in India, but this hostel gives you a chance to experience the same. Beds: The capsule beds might look a bit claustrophobic, but they are actually very comfortable and cosy. Baths: The baths and toilets are neat and well maintained. Breakfast: Though the breakfast includes only coffee, egg and a muffin, the fact that it is complimentary makes the tariff look attractive. Power points: There are no individual plug points for each bed. The points are outside the beds and in the common area. Wow... finally a budget option in Kohima! Yeah, it's a pretty new one. Enjoy your stay when you visit next time. Those beds do look very cozy. And there's a locker beneath each? The beds were super comfortable. Yeah, all the beds come with lockers. Looks nice and cozy but the power points being in the commons is indeed a bummer! Yeah, had communicated the same as a feedback. They are trying to sort it out.